If you’re shopping for a used car to get your from Caldwell to Boise, you’ll want to check out Dennis Dillon Kia! After all, we have 103 used vehicles for sale – so there’s plenty from which to choose. Whether you’re looking for a used Kia model, or a sturdy and reliable Honda or Toyota, you can be sure that Dennis Dillon Kia has got a vehicle that’ll fit the bill. Before you stop by and explore our inventory, be sure to know what to ask and what to look for. When you’re ready, contact us today! CARFAX One-Owner. Clean CARFAX. Certified. Green 2018 Kia Soul Plus FWD 6-Speed Automatic with Sportmatic I4 Backup Camera, Bluetooth, Power Mirror Package, Power Package, Safety Package, Security Package, FUN TO DRIVE GAS SAVER, Soul Plus, 4D Hatchback, I4, 6-Speed Automatic with Sportmatic, FWD, Green.Recent Arrival! 25/30 City/Highway MPGKia Certified Pre-Owned Details:* Roadside Assistance* Warranty Deductible: $50* Limited Warranty: 12 Month/12,000 Mile (whichever comes first) Platinum Coverage from certified purchase date* Transferable Warranty* Vehicle History* Includes Rental Car and Trip Interruption Reimbursement* Powertrain Limited Warranty: 120 Month/100,000 Mile (whichever comes first) from original in-service date* 164 Point Inspection* Certified pricing is only available for prime lender financing KMF (625 + FICO Score) through Dennis Dillon Kia/Mazda, Financing not obtained through Dennis Dillon Kia/Mazda, non-prime financing, and or cash transcations which may include trade equity, will result in an increase in the price of the vehicle of $1,000.00. Any and all actions regarding the transaction of vehicle, must be excuted in person at Dennis Dillon Kia/Mazda facility. Certain items such as a second key, floor mats, owners manuals may not be available on all vehicles. While every reasonable effort is made to ensure the accuracy of this data, we are not responsible for errors and or omissions contained on these or other 3rd party internet pages. Why Choose Dennis Dillon Kia? Kias are reliable, which is just one reason that so many people in Nampa and Meridian do their used car shopping at Dennis Dillon Kia. Other advantages include affordable rates and pre-owned vehicle specials – not to mention our commitment to transparency and professional Kia service. Make the way from Ontario, OR to our dealership, or contact our staff to set up a test drive! 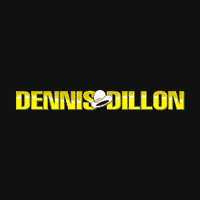 You’ll quickly learn why nobody beats a Dennis Dillon deal!